Festive season is upon us! Yes, again! And, for a lot of Australians, that means fully embracing the trifecta of ‘Eat, drink, and be merry!’ Here at Woongooroo Estate, we love the silly season, and we love the fact that our boutique wines are featuring in so many family feasts. However, before we all launch into third helpings of grandma’s famous trifle and another glass of wine, we thought we’d take a little look at how wine actually came to feature in religious and festive celebrations. As a Christian majority nation, our national festivities largely revolve around Christian events. In this context, many people have some kind of established connection between wine and religion. In fact, it has been said, referring to the strength of the association, that ‘The relationship between wine and Christianity is one not seen with other religions.’ This is apparent in the symbolism of the ‘blood and body of Christ’, in which the body is represented by bread, and the blood by wine. The importance of wine in Christian religious tradition is paramount. Think also of that famous story of Christ turning water into wine. (A talent many of us wish we had!) According to one source, wine is mentioned in the Bible an impressive 231 times! And while the support for wine drinking varies depending on the verse, with some verses admonishing it thoroughly, there is no denying that Christianity and wine are irrevocably entwined. 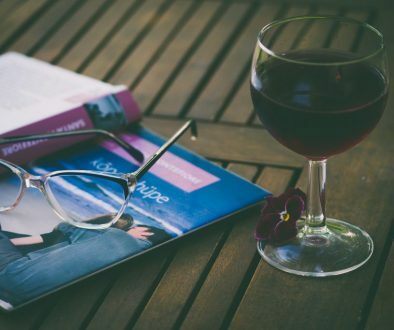 Which leads us to asking, out of general interest, and for the sake of comparison – Which other religions does wine play an important role in…? Many! For example, in Judaism, wine forms an important part of Passover rituals, one part of which calls for men and women to drink four cups of wine! However, all wine consumed must be ‘kosher’ – made under special conditions that adhere to Jewish religious dietary codes. For a different perspective, in the non-theistic Asian ideology of Confucianism, wine is used ceremonially at weddings and funerals. At funerals, offerings of wine are made both to the deceased and the earth. While at weddings, the bride is presented with wine that has been stored specially since the time of her birth. These are just two examples of many. If you’re interested in reading more, you could start with this article. And now, time to put the serious research away, and just enjoy the season! As Benjamin Franklin once wrote, when lightheartedly declaring that God designed the human form in order to more to easily imbibe wine, “From the actual situation of the elbow, we are enabled to drink at our ease, the glass going directly to the mouth. Let us, then, with glass in hand adore this benevolent wisdom; – let us adore and drink!” Cheers, Mr Franklin, we agree! Whatever your reason for celebrating this festive season, religious or not, we hope you do indeed ‘Eat, drink, and be merry!’ And, if the drink happens to be one from our boutique yet varied range here at Woongooroo Estate, we’d be even merrier! Click here to check out our store. Happy Festive Season to one and all from Yowie and Woongooroo Estate!